I am one of the contributors to the New York Times Room for Debate section today on Daylight Saving Time. 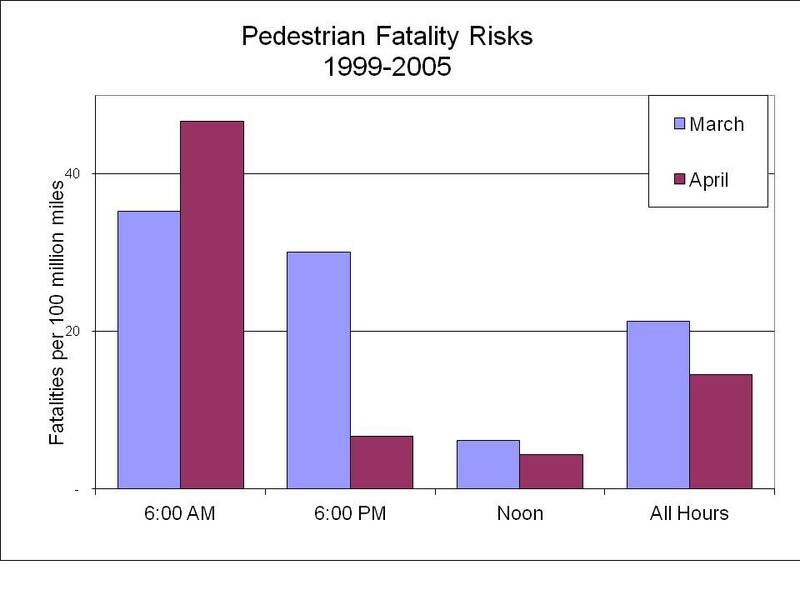 My contribution has to do with the changes in pedestrian fatality risks and total fatalities associated with the time change. (UPDATE: There is also a piece up in the Sunday Appleton Post-Crescent).